Want to learn Excel VBA? You're at the right place. Here you'll find a collection of useful VBA tips and tutorials that will help you understand the concepts and VBA and how to use these to automate your work in Excel. All the VBA tips & tutorials are covered in detail with supporting images and a video (in most of the cases). If you're a beginner in VBA, I recommend you start with the Learn VBA section first. It covers VBA concepts (basics & advanced) in detail and will give you a good foundation. After the Learn VBA section, I have created a section where I have listed useful VBA tips that uses these concepts to automate repetitive tasks or create useful function to do things that you otherwise can not do in Excel. In this section, I have provided detailed guides on several VBA topics. Each guide starts from the basics and covers the entire topic comprehensively. It uses simple examples that will help you grasp the concepts and understand how to use it in real-life cases. I continually update this section with new VBA guides. Select Case Statement in Excel VBA. 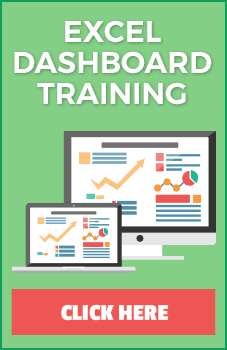 Want to quickly learn VBA and save time by automating tasks in Excel? 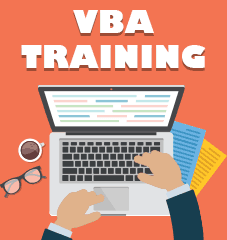 Check out my Online Excel VBA Training. This section provides various VBA tips and tutorials that you can use to automate your work in Excel. These are usually focused on getting a specific task done (such as highlighting blank cells or inserting date and timestamps). The tutorials use a lot of the concepts covered in the previous section. As I write more How-to VBA tips, I will add it in the list below.